NEW YORK TIMES bestseller list. It was a finalist in the prestigious New Zealand Book Awards in August 2013; it was the subject of a 60 Minutes programme; and a cover story for the NZ Listener. It is an ‘important’ and ‘beguiling’ read that has received excellent reviews. The subject of the biography, Anne Perry, needs no introduction as a frequent author on the New York Times bestseller list herself. Perry’s dramatic story of teenage murder and redemption is one that has inspired many. Her critically acclaimed Ngaio Marsh: Her Life in Crime (2009) was a Christmas pick of the Independent when it was released in the United Kingdom in 2009. Her other biographies include Frances Hodgkins: A Private Viewing (2005); Rhona Haszard: An Experimental Expatriate New Zealand Artist (2002); and Edith Collier: Her Life and Work, 1885–1964 (1999). She has curated exhibitions of Collier, Haszard, Hodgkins, and Dorothy Kate Richmond, and publishes in art and design history, theory and biography. In 2007, she was awarded a National Library Fellowship to write a biography Ngaio Marsh. Joanne has just finished Hudson & Halls: The Food of Love due to be released 18 October 2018. She is writing an autobiography and carving a post-colonial chess set in response to the Lewis pieces in the British Museum, and her interests include long-distance running, art, music and reading. 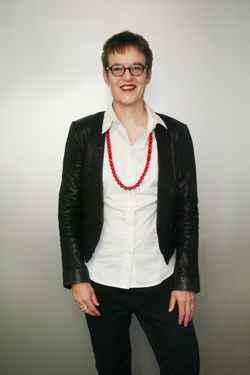 Joanne is a research associate at the University of Auckland and an English teacher at Avondale College. She lives in Auckland, New Zealand, with her partner and three cats.